YIKES! It's really getting closer. Lastnight I had to go into Triage to take my NST and the nurse noticed the contractions I've been having. 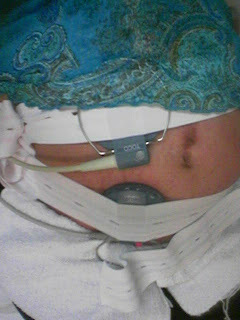 I had to stay and get monitored. 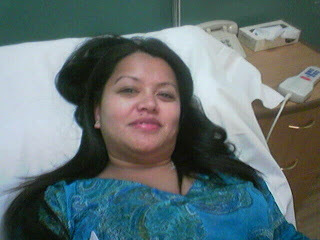 When she checked my cervix I was only dilated 1cm....so that could mean the start of early labor! OH MY GOODNESS!!! I had been having contractions all day long but didn't think of them as major contractions since they weren't less than 5 minutes apart. And since I got through the day...I figured they weren't true contractions.